Genelle recently became managing broker in the company. A lifelong resident of Audubon, she brings a passion for real estate and offers exceptional customer service. Within the community, Genelle currently serves as chair of the Audubon County Community Foundation and serves on the boards of the Friendship Home Association and Partnerships 4 Families. Personally Genelle is married to Derek and has three active sons. She graduated from Audubon Community High School and has a bachelor's degree in journalism from Iowa State University. Prior to coming to Southwest Iowa Real Estate Co., Genelle was Foundation and Marketing Director for the Friendship Home. She and Derek have always loved real estate and enjoy renovating homes. Lyle Hansen, Jr. , broker officer, has been a REALTOR since 1974. He is a graduate of Iowa State University. Lye is active in residential and farm real estate, and he specializes in 1031 exchanges. Lyle is a member of the Iowa Association of REALTOR's Diamond Award Club. Recently he was honored for his sales exceeding $14 million in 2014. 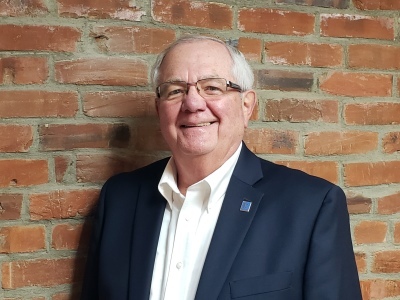 Active in the real estate community, Lyle has served as a past president of the West Central Iowa Board of REALTORS and as past president of the Iowa Chapter of the REALTORS Land Institute. In 2007 he was recipient of the IOWA REALTORS Land Institute Farm & Land Broker of the Year Award. Within the community of Audubon, Lyle has been active with the Audubon County Economic Development Corp., Audubon Lions Club, Boy Scout Troop 103 & MidAmerican Council Boy Scouts of America, Audubon T-Bone Association, as well as many other community organizations, businesses and Boards. In 2011, he was named Citizen of the Year by the Audubon Chamber of Commerce. Personally, Lyle is married to Paula and has two adult children - Chip Hansen and Carrie Hansen. In his free time, he enjoys golfing, bicycling, boating and traveling. Bruce, broker-associate with Southwest Iowa Real Estate Company, is active in residential and farm real estate. He is also owner of Christensen Auction Company and has more than 40 years of experience in arranging and conducting real estate auctions. In 2014, Bruce was honored with the Iowa Association of REALTORS' Diamond Award, with sales exceeding $11 million. He is past president of the West Central Board of REALTORS. Contact an agent directly with the information above, or feel free to fill out the form (below) and we will get back to you as soon as possible.